Dub-Eye nintendo classic console super nes classin Video Games where to buy nintendo classic Super NES Classic Edition is out now! 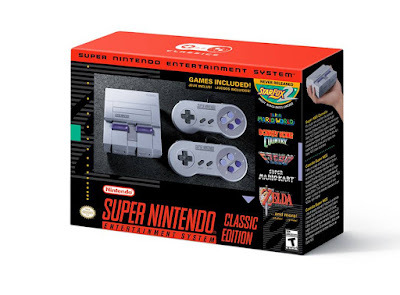 Super NES Classic Edition is out now! The Super Nintendo Entertainment System: Super NES Classic Edition is out now! Play 20 classic Super NES games plus the never-before-released Star Fox 2 game. Now that’s playing with SUPER power! Meanwhile, Mario invites you to join his real-life odyssey across the country before he sets off to explore the Kingdoms of Super Mario Odyssey. Starting in Los Angeles on Oct. 10 and ending in New York on Oct. 26, join Mario and Cappy as they travel cross-country to select cities.